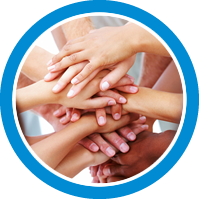 We are committed to providing a positive experience for all, no matter what your oral health needs are. See why our patients are smiling, phone (03) 9317 3144 or make an online appointment today. 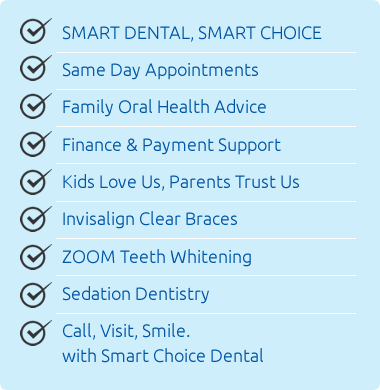 Smart Choice Dental is a family dental practice delivering the quality care that you expect, at an affordable price. Maybe you’re a parent, a recent retiree, or someone who hasn’t had access to dental care in a few years. Wherever you are in your journey to a healthier smile, we’re here to help. At Smart Choice Dental, your safety is our priority. With the recent focus in the media, we wanted to reassure you that we go above and beyond the Australian Dental Association and Australian Dental Board requirements for sterilisation to safeguard against cross-infection. For more information, see our safety and hygiene page to read about our practices. Now you’re here. Now you’re happy. Now you’re smiling! Our Western Suburbs dentist clinic provides clear-cut information to our patients. From oral health education to affordable treatment financing we’re here to meet your needs and help you have the smile that you know you deserve. 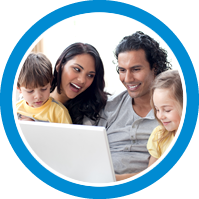 Find out how we can help make dental care more affordable for you today. We never want anyone to go without the dental care that they truly need. 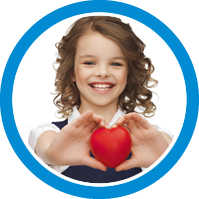 We’re so committed to helping patients invest in their smiles, that all new patients receive a complimentary oral care kit and lots of health tips. We want to help you keep your smile healthier, longer. ask about our Check & Clean package today! If you’re looking for a dental team in the greater Melbourne area, including Maidstone, Braybrook, Sunshine North, Deer Park, Caroline Springs, Cairnlea, Tottenham and surrounds, call Smart Choice Dental. 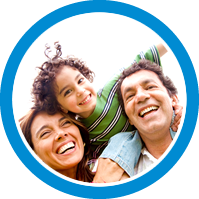 Providing your employees and their families affordable dental care. If you're a business owner speak to us today. We are preferred providers with most major healthcare funds. We also accept various medicare vouchers.